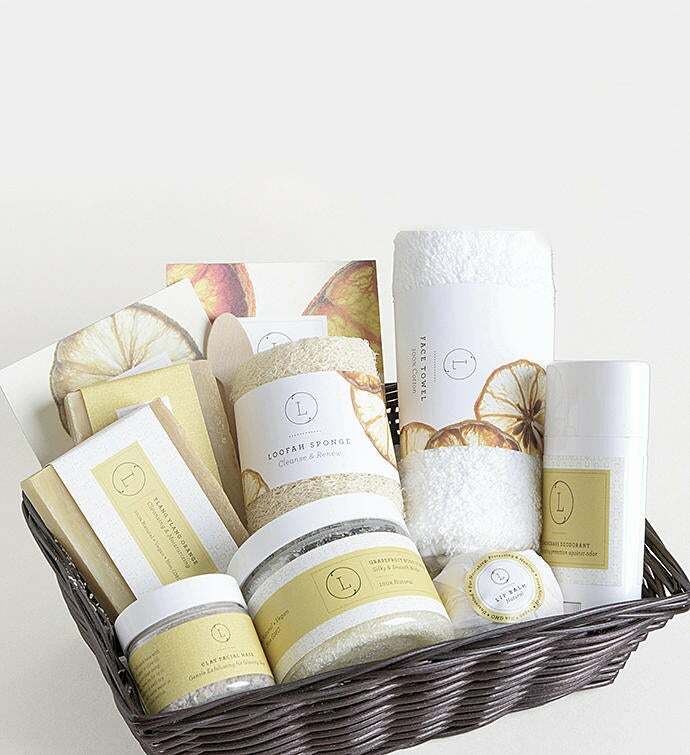 Spoil them with the Citrus Gift Basket Set! Make them feel luxurious with this fresh-smelling set. This gift is sent in a beautiful gift basket placed in a box with a tag and yellow ribbon. Spoil them with the Citrus Gift Basket Set! Make them feel luxurious with this fresh-smelling set.